Anyone who wants an online presence must know how to write content for a website. So how much content should you be writing, and how often? This is a good question, and there will likely be different answers depending on where you look. 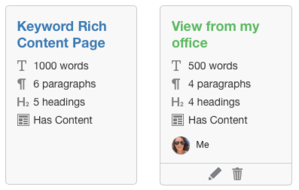 As a general rule, your posts should be a minimum of 1,000 words, or even more if you can. I think about 1,500 words is an optimum length. With that being said, I always think that quality is more important than quantity, so if you’re not getting your 1,500 words, don’t worry. I sometimes have an idea for a post that might only be 700-800 words and there’s no point lengthening it just for the sake of it. I have had posts indexed with Google the very same day that have been less than 1,000 words. You should be posting at least 2-3 times per week. The more you post the better! Many people who start blogging are doing it in their ‘spare time’. (Who has spare time, right?) What I mean is, many people work and have life commitments, so producing a 1,000 word post every day is going to be a big ask for most of us. Why should your readers take the time to read your post? What are your readers getting out of it? There are lots of things you can do to structure your posts in a way that makes them easy to read, and visually appealing. 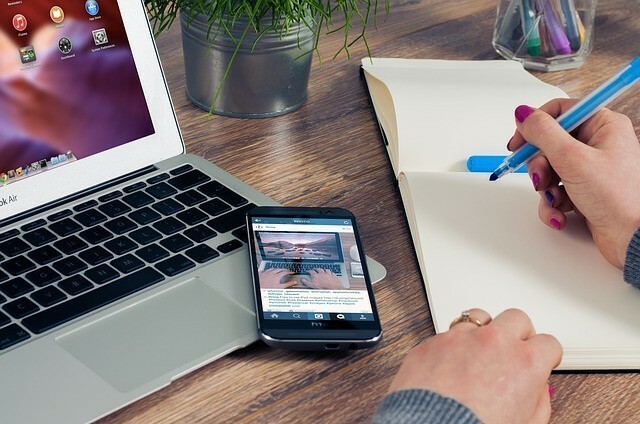 Using the platform within Wealthy Affiliate, writing your content is super easy because of the tools that are already provided. It all starts with keywords. You must be writing keyword rich content so that your readers find you in search engines. Well, that just got a whole lot easier! 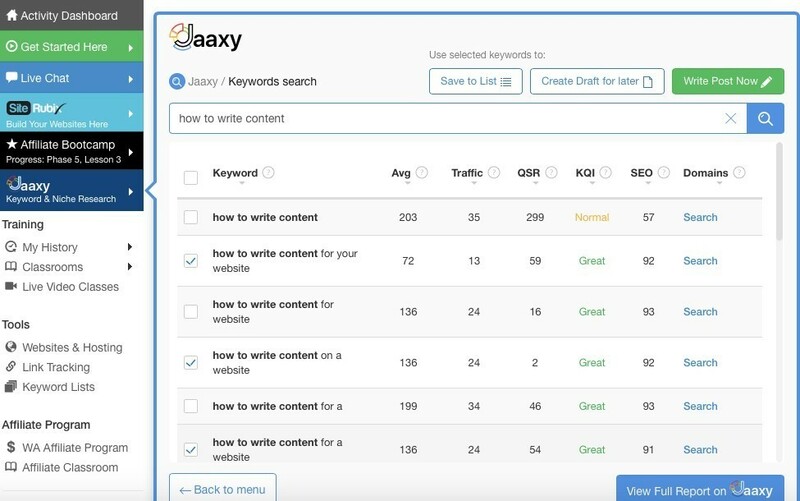 Jaaxy, the truly amazing keyword tool that is free and fully integrated with the Wealthy Affiliate platform, allows you to do a keyword search, and then directly turn the keywords that you have chosen into a draft article for you. You can either save those keywords for later, or start writing your content right away. You can try out Jaaxy for yourself here. Just hit the back button to return to this page. Of course, you don’t have to go straight into the Site Content editor. You can save your keywords into lists so you can use them at a later date. There are templates already available for you to use, and you can very easily create your own templates. If you have post types that you write on a regular basis then it’s worth standardising those into templates. Lots of bloggers set up product review templates so that the look and feel of their pages retains consistency. Same with book reviews, recipes, you name it – if you write the same style of post regularly then you might want to template it. And if you notice the coloured “G” in the images above, that means that the page or post has been indexed by Google – the platform displays this for you. If it is yet to be indexed, the G remains grey. One of the things I love most about Site Content is the ability to add images as you go. Trawling through the multitude of free images sites is a thing of the past (unless of course you want to and you have the time!). The images within Site Content are all approved for your use, so there are no concerns with being able to publish the images. There are over a million high quality images there for you to choose from. You can of course upload your own images to the editor if you don’t need to search for one. If you are a fan of goals as much as I am, you will love this function. 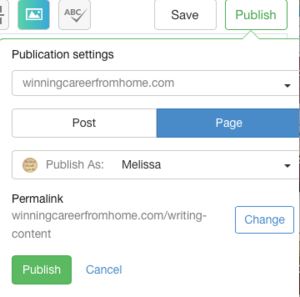 You can set your writing goals within Site Content, and see how you are tracking against them. (If you want to read more about goal setting, check out my post here). Once you have finished writing your article, and you are happy with the layout, the length, the use of your keywords, your images and your grammar and punctuation, you can publish directly to WordPress from the platform. I hope that has helped you with how to write content for a website. Need a keyword tool or content editor?